Kettlebell Power: The Press 0 0 This program is for strength coaches and fitness enthusiasts who are intermediate to advanced kettlebell lifters. This is the press program that Coach Artemis Scantalides, StrongFirst Team Leader and Iron Maiden, wrote for herself and followed in order to complete the 24kg (53lbs) strict military press for the Iron Maiden Challenge when she completed it in July 2014. Personally, she had incredible success with this program, as have many of her clients who have followed it under her coaching and instruction. Before starting this program, you should be very familiar with both single and double kettlebell cleans, presses, front squats, single Turkish get-up, and single bottoms up press. Before starting this program you should also test your 1 Rep Max kettlebell military press, both right and left sides. This is a 12-week, 5-day/week program that includes programming specific to building tremendous kettlebell military press strength and it can be worked into any other program that you are following. If you have questions about how to work this press program into other lifts that you are training, please contact Coach Artemis directly for guidance. After purchasing this program, make sure to read the exercise notes for EACH week. The program progresses each week even if it's just one change for one exercise. All elements of this program are important so do not leave anything out as you train this program over the course of 12 weeks. Also take note that some people may need more time to progress from week to week than others. If that is the case for you, you may need to repeat a week. If you need guidance in this area after you purchase the program then please contact Coach Artemis directly for guidance. This program is for strength coaches and fitness enthusiasts who are intermediate to advanced kettlebell lifters. This is the press program that Coach Artemis Scantalides, StrongFirst Team Leader and Iron Maiden, wrote for herself and followed in order to complete the 24kg (53lbs) strict military press for the Iron Maiden Challenge when she completed it in July 2014. Personally, she had incredible success with this program, as have many of her clients who have followed it under her coaching and instruction. Before starting this program, you should be very familiar with both single and double kettlebell cleans, presses, front squats, single Turkish get-up, and single bottoms up press. Before starting this program you should also test your 1 Rep Max kettlebell military press, both right and left sides. This is a 12-week, 5-day/week program that includes programming specific to building tremendous kettlebell military press strength and it can be worked into any other program that you are following. If you have questions about how to work this press program into other lifts that you are training, please contact Coach Artemis directly for guidance. After purchasing this program, make sure to read the exercise notes for EACH week. The program progresses each week even if it's just one change for one exercise. All elements of this program are important so do not leave anything out as you train this program over the course of 12 weeks. Also take note that some people may need more time to progress from week to week than others. If that is the case for you, you may need to repeat a week. If you need guidance in this area after you purchase the program then please contact Coach Artemis directly for guidance. Artemis Scantalides, NASM-CPT, StrongFirst Team Leader, StrongFirst Lifter (SFL), StrongFirst Bodyweight (SFB), CK-FMS, DVRT I, Pn1 Artemis is a former Ballet Dancer turned Kung Fu Black Belt and most recently the 9th woman in the world and the lightest woman to date as of July 25, 2014 to pass the Iron Maiden Challenge (24kg-53lbs Weighted Pull-up, Strict Military Press, and Pistol Squat). Based upon her dance and martial arts background, Artemis is focused on helping clients to develop great movement before building strength on top of that movement. Artemis believes that any goal is possible as long as you train for it and she proved it by completing the Iron Maiden Challenge as a lightweight. As former Co-Owner and CEO of Iron Body Studios, Performance Conditioning Specialist for Cirque du Soleil, Owner of Iron Body Training Systems, Author of the Blog Iron Body By Artemis, Creator and Founder of the I Am Not Afraid To Lift workshop series, and former ReebokONE Fitness Ambassador, Artemis seeks to empower women through strength as she continues to encourage and inspire women to not be afraid to lift weights and she swears by kettlebell training and strength training, as she states: “Kettlebell training and strength training not only strengthened and changed my body, but also my mindset.” ***** Eric Gahan, MS, ATC/L, SFG, CSCS, CK-FMS, DVRT I Eric’s eye for movement began while working with Division I athletes in undergraduate studies at Canisius College and then continuing at the University of Kentucky. Professionally Eric has worked with athletes from St. Bonaventure University, the University of Mississippi and future MLB/NFL players. Eric served as the Senior Athletic Trainer for football at the University of Mississippi and Senior Athletic Trainer at Boston University. This experience has helped Eric develop a keen eye for helping athletes and clients merge the gap from injury to return to high level of fitness. He now works as Head Therapist for Cirque du Soleil located in Las Vegas, Nevada. ***** The One-on-One Online Personal Training subscription includes: - Personalized program design specifically tailored to the individual and to the individual’s goals. Updated once monthly as needed. - 4 email check-ins per month. Additional check-ins beyond the 4 designated email check-ins per month via the private Iron Body online training Facebook group. Note: these communications do not include communications initiated by your coaches Artemis and Eric. - Video review and feedback via the Iron Body online training Facebook group. Please post ALL videos in the Iron Body online training Facebook group unless otherwise requested by your coaches Artemis and Eric. ***** Cancellation Policy: Once you begin training, We require 30-days advance notice to cancel Online One-on-One Personal Training. 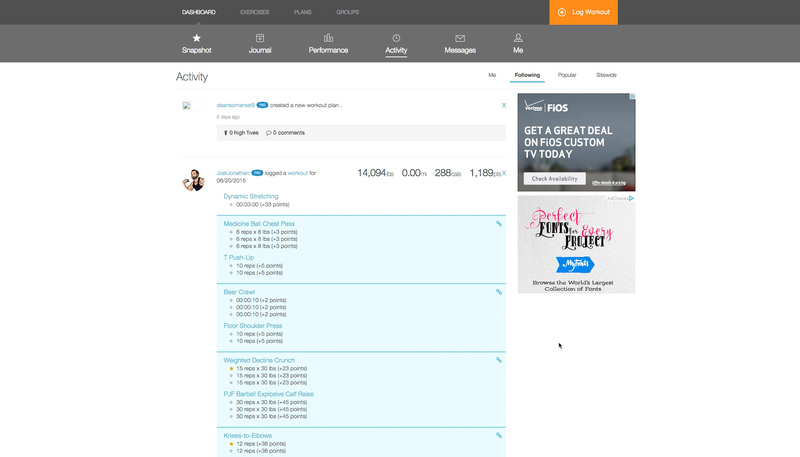 Set up your schedule and receive automatic reminders to stay on track and log your workouts on the web, iOS and Android. 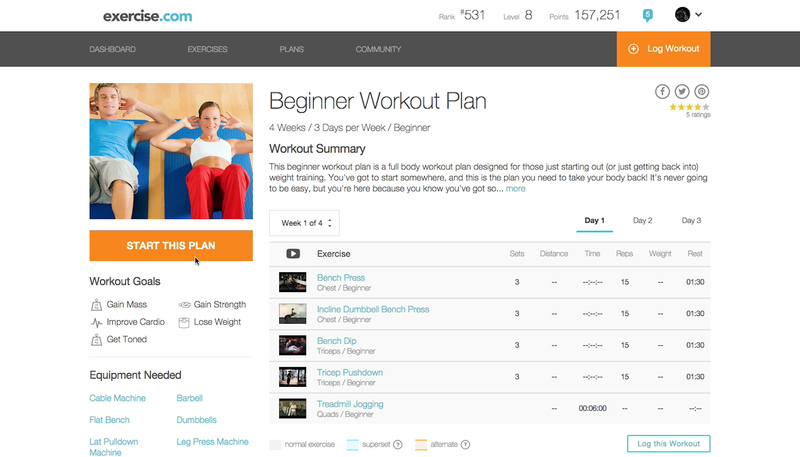 Download printable versions of this plan, set up your schedule, and log your workouts on the web, iOS and Android. Upgrade to PRO today and add any workout into your logger with one click.